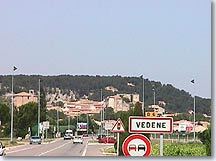 Vedène is lucky to have a hill top chateau in its area. The chateau is still partly inhabited and protects the village houses which cluster wisely around. Above the Rue Frédéric Mistral which is the shopping street, wide stepped streets bordered by stone walls climb up to the château. 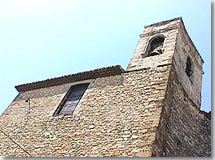 Close by, dark, narrow streets spread as far as the very beautiful Parish Church. 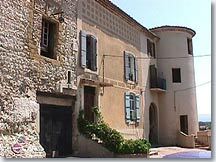 To get back to the main street you need to take a street which has a peculiar name, in provencal Roumpo quieu : rompe cul... broken bottom, be careful, you have been warned...! A tower, pierced by a gateway marks the end of this perilous journey! 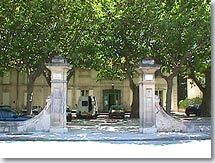 Lower down, and located in a beautiful building protected by two enormous columns you can find the Cercle du Progres which has 300 members. You need to be a member to drink in this interesting cafe, and it is one of only five similar establishments which remain in the Vaucluse... Don't miss it ! 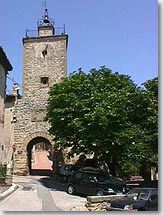 XVIIIth century Clock tower and wrought iron belfry. Golf 18 hole course. Boulodrome. Swimming pool. Tennis. Fishing. Horse Riding. 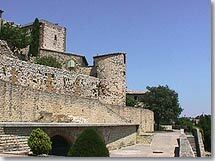 St Saturnin les Avignon (2 km), Entraigues (5 km), Jonquerettes (4km), Le Pontet (9km).